Greetings from the Executive Director. Thank you for taking the time out of your busy schedule to read our newsletter. I hope that it provides you information and insight on health and safety for your workplace as well as provides you valuable updates on AHSA activities. The AHSA AGM was held on April 15, 2018 in Jasper, Alberta. We had a number of members in attendance to listen to both the operational and financial successes as well as to vote on important association matters. The new members of the AHSA Board of Directors were also announced at the meeting. I am pleased to introduce the Board of Directors for 2018/19. I am excited to be working with them in the upcoming year to enhance our program offerings and membership engagement activities. In addition to changes to our Board of Directors, many of you are aware that there are a number of legislative changes in Alberta including to the OHS Act. While the legislative changes may be overwhelming to some, remember AHSA is here to assist you. The training that our members receive, assist in the building of an effective health and safety program which will not only ensure that your workers are safe but also ensure that your property is in compliance with Occupational Health and Safety legislation. That being said, building a health and safety program is the first step in building the culture of safety in your workplace. Implementation of your program along with a positive safety culture is required to make it successful. There needs to be continual enforcement throughout your entire team that safety is not just a management responsibility, but is everyone’s responsibility. Positive change is formed from the top. 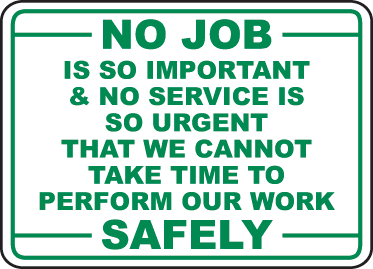 It is up to management to make workplace safety not only a priority but also a value of the workplace. Once safety becomes a cultural norm of the organization, the overall management of the OHS program becomes second nature because everyone is involved. I am excited to work with the membership in our collective efforts to make Alberta’s hospitality industry a leader in workplace health and safety. I encourage you all to visit our website and to provide feedback, it is by working together we can truly be successful. You may be contacted by third party service providers offering Health and Safety Committee/ Representative training. Be advised that Health and Safety Committee/ Representative training is still under development by the Province and that the Province will be designating certain organizations the ability to deliver the training. If you take training from a third party service provider, that is NOT approved by the province, you will not be in compliance with the requirements under the new OHS legislation. Do not register or pay money for Health and Safety Committee/ Representative Training unless it has been approved by the Province. AHSA is working hard at keeping our membership informed. We will let you know when and where Health and Safety Committee / Representative training will be available. Please stay tuned for additional updates. It looks like winter in Alberta may finally be over and it’s time for the task of outdoor maintenance. For some safety tips for addressing outside hazards as we move in the spring in summer season click here. While we are all still in shock over the tragic event that happened on the streets of Toronto, it is certainly an event that could happen in our own back yard. The victims are in all our prayers as are their families and friends that are still dealing with the after affects. We all need to be aware of how to cope with workplace trauma following a traumatic event. Click on the following news story on to find out more information on how you as employer can help your employees deal with such tragedy. Its important to know that as employers, we play an important role in keeping our employees safe. 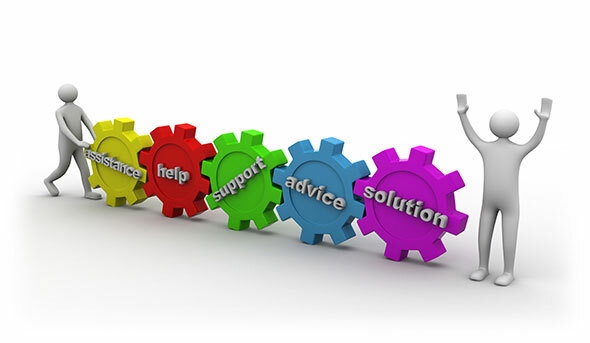 Do you have the procedures and supports in place for your employees? If not, it is certainly something to be considering given the changing nature of our environment. Remember that AHSA is here to help! Want more updates on what the AHSA is doing? Need information on training and health and safety resources for your workplace? Following us on Linkedin or like us Facebook or visit our webpage. Stay informed about the relevant Health and Safety news.